As an avid Pokémon fan from the very beginning, I was cautiously optimistic when Pokémon: Let’s Go, Pikachu! and Let’s Go, Eevee! were announced in May 2018. On the one hand, the franchise was finally coming to the Switch, even though it wasn’t a mainline release or even the rumored eighth generation, was wonderful news even if it was yet another remaster of a game released back in 1998. On the other hand, how would the Pokémon Go–style catching mechanics factor into gameplay that had largely gone unchanged in 20-plus years? Thankfully, the inclusion of those mechanics does not take away from an otherwise lovingly crafted remake. Let’s Go, Eevee! the version I played) and Pikachu are updated remakes of the first-generation Pokémon Yellow, which was originally released on the Nintendo GameBoy in 1998. That game was itself an enhanced version of Pokémon Red and Pokémon Blue, which had been released a year prior, and introduced new gameplay elements to the series that included receiving Pikachu as your starting Pokémon, adding sprites and character models to the game influenced by the anime, added the characters Jessie and James from the anime to the Team Rocket storyline for the player to battle, and allowing your Pikachu to travel outside of its Poké Ball and interact with your character. All of these elements are included in both versions of Pokémon: Let’s Go. Other than the obvious difference of determining your starting Pokémon, Let’s Go, Eevee! and Let’s Go, Pikachu! are almost identical gaming experiences. Much like in past Pokémon games, the biggest distinction between the two versions is their Pokémon exclusivity. 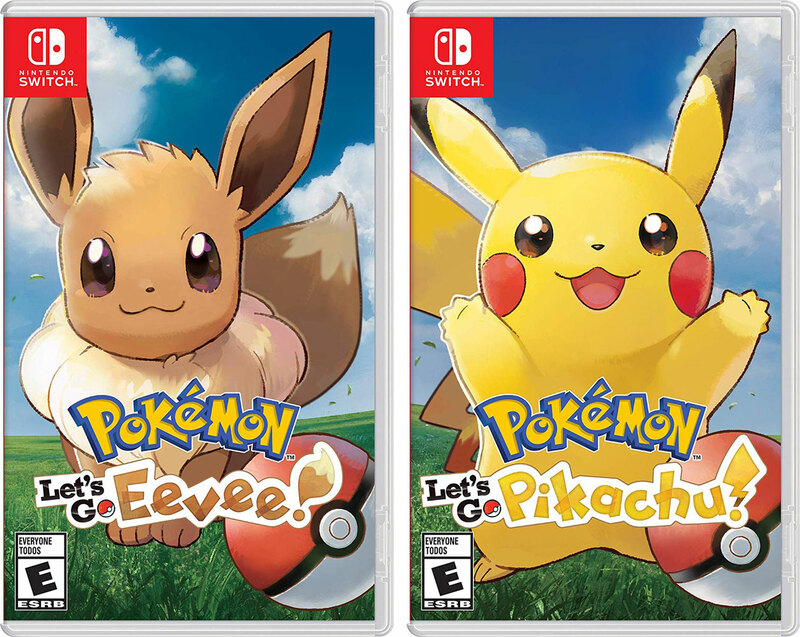 Certain species are only available in Eevee and others only in Pikachu, meaning you will either need to purchase both copies or convince a friend to get the version opposite yours. Even though each game has a specific Pokémon as its mascot, that doesn’t mean you can’t get the other game’s mascot in yours, nor does it mean you even have to use your game’s mascot if you don’t want to. 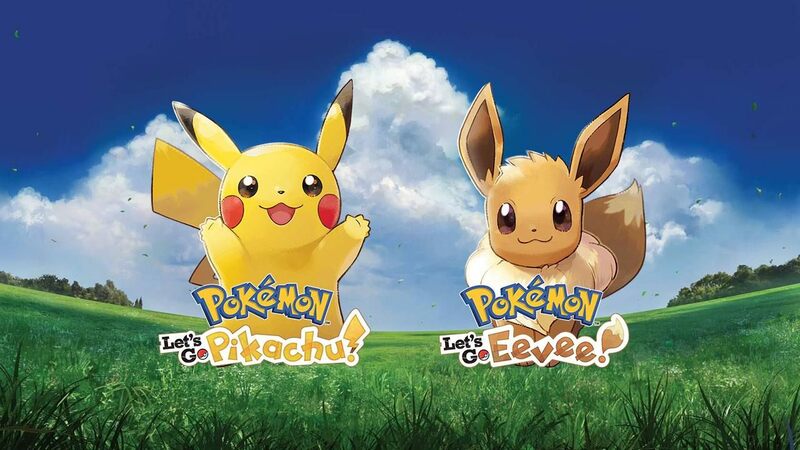 Maybe you are a fan of the Bug-type Pokémon Pinsir, who is exclusive to Let’s Go, Eevee!, but you have a soft spot for Pikachu—well, there is nothing stopping you from catching a Pikachu in the Eevee edition and setting it as your buddy Pokémon, relegating Eevee to the bench. All is fair in love and Pokémon. Speaking of exclusive Pokémon, did you know that there are now over 800 confirmed species? This means that completing your Pokédex in some of the later games is quite an ordeal, requiring transferring dozens of Pokémon across several generations of games at a time. This overwhelming task is made significantly easier in Let’s Go, as each game only includes the first generation’s original 151 Pokemon. The caveat is that while it makes your journey to “catch ’em all” much easier, it also means that the pool of Pokémon you have to choose from is a much smaller one. And while some of us seasoned veterans remember when this was the norm (insert “back in my day” joke here), it’s also a stark 180-degree turn from where games like Ultra Sun and Moon left us—where there were almost too many Pokémon to choose from. Let’s finally address the 800-pound gorilla in the room: the Pokémon Go features that were integrated into Let’s Go, mainly the new catching mechanic. Unlike in prior games, wild Pokémon encounters are no longer randomized. Instead, much like in games in the Tales and Dragon Quest series, you now see wild Pokémon on the map in caves and grass and can choose whether to battle them or simply run past. If you decide to engage, you will no longer be taken into a battle but will instead see a screen familiar to anyone who plays Pokémon Go, with the Pokémon you are trying to catch in front of you with the same pulsating color wheel present in the mobile game. The wheel will be a certain color depending on how difficult the Pokémon is to capture, which can be altered by using items like Pinap and Razz berries like the ones found in Pokémon Go, and will repeatedly change size, which gives you a target to aim for to get the best chance to catch the Pokémon. The smaller the circle, the better chance you have, especially if you are able to hit the smaller targets—resulting in a “Nice,” “Great,” or “Excellent” throw. Don’t worry: even though you’re not taking part in a battle, you still receive experience points after each successful capture. Originally I thought this new capture mechanic would feel gimmicky and unnecessary, a shoehorned effort to keep Pokémon Go a relevant and necessary accessory to Let’s Go, but the positives of the new system outweigh the negatives. For starters, you never need to worry about the Pokémon in your party taking unnecessary damage or status effects caused by a random Weedle or Zubat. You can freely catch as many wild Pokémon as you are equipped for without jeopardizing your ability to survive the next trainer battle. It also means leveling newer or weaker Pokémon is no longer a chore; simply load up your party with low-level monsters and head to end-game areas for some easy EXP. My biggest issue with the new style was that the motion controls you have to use when capturing were never as tight as they seemed to need to be, especially in handheld mode. The game can only be played either in handheld mode or with a single Joy-Con controller for specifically this reason. When you begin an encounter with a wild Pokémon you get a chance to ready yourself and center your controller in your field of vision before you are forced to follow the Pokémon around the area using the Switch’s motion controls. While this isn’t necessarily a deal breaker, it can be awkward to do, especially when you’re trying to play the game sitting or lying down. It may also make you hate Zubats even more than you did before, if that’s even possible. One big thing to point out about Pokémon: Let’s Go is how very easy it is. With no random battles to worry about and all of your party Pokémon gaining experience in each situation, regardless of whether or not they participated in battle, Let’s Go will never fully test your skills as a Pokémon Trainer. While it isn’t quite “baby’s first Pokémon,” it will definitely give senior trainers like myself very little challenge. Nintendo has also done away with the PC system for storing Pokémon, and you now carry all your captured monsters in your bag—meaning you can change you party on the fly without even needing to go back to a Pokémon Center. Chances are pretty good that you you could load up on a few strong Pokémon with deep move pools, like Nidoking for example, and make short work of 90 percent of the challenges in the game without breaking a sweat. And while that may seem like a bad thing to those of us who have been playing Pokémon since day one, it makes Let’s Go a very easy entry point for younger kids or Pokémon novices who never gave it a chance before. The biggest, and best, way that Pokémon Go has been integrated into Let’s Go is in the complete overhaul of the Safari Zone in Fuchsia City. No longer is it an area to catch wild Pokémon, or find lost teeth. It has been replaced with the Go Park Complex, a building where Pokémon caught in a registered Pokémon Go account can be transferred to Let’s Go to be captured and used by your trainer. This is a great way to ensure that Let’s Go players continue, or go back to, playing Pokémon Go, as it makes it easier to obtain rare Pokémon like Dratini but also gives in-game rewards for your real-world Pokémon efforts. It’s also one of the only ways to obtain the brand-new Pokémon Meltan in Pokémon Go. I’ve had only a few major gripes during my entire adventure throughout Let’s Go, Eevee! One is that the Pokémon management system in your bag can take a lot of getting used to, as does the mechanic of sending Pokémon back to Professor Oak for candies, à la Pokémon Go. As mentioned before, the insistence on motion controls when capturing wild Pokémon can be troublesome, especially what trying to catch very jittery Pokémon like Magikarp and Beedrill. And on more than one occasion I experienced jittery or unresponsive controls when simply trying to walk, which usually occurred when coming out of cut scenes or after map transitions. But other than this, everything ran smoothly on my Switch whether I was playing docked or in handheld mode. At the end of the day, you probably knew as soon as it was announced whether or not you were going be playing Pokémon: Let’s Go. If that’s you, you’ll be greeted (or have already been) with a very nostalgic and still highly addictive adventure that mixes modern day graphics and technology with a feeling you probably haven’t felt since your first foray into the world of Pokémon. If, on the other hand, you’re not a devoted Pokémon veteran, know that Let’s Go, Eevee! and Let’s Go, Pikachu! are the perfect jumping-off point to the series for kids and newcomers alike. Seeing as the Pokémon train shows no signs of slowing down anytime soon, this is a perfect time to join the fun. Pokémon: Let’s Go, Eevee! and Pokémon: Let’s Go, Pikachu! were released on November 16, 2018, exclusively for the Nintendo Switch.